Palliative care aims to improve the quality of life of people with life-limiting or disabling diseases, by treating pain and by providing emotional, mental and social support. Everyone can be a part of it. 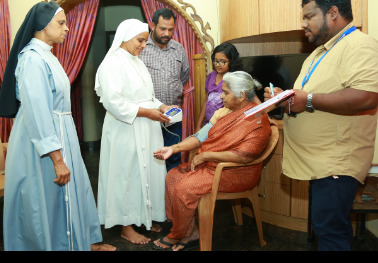 A group of expert doctors, nurses, priests, nuns and volunteers are always willing to support the bedridden patients at their homes. 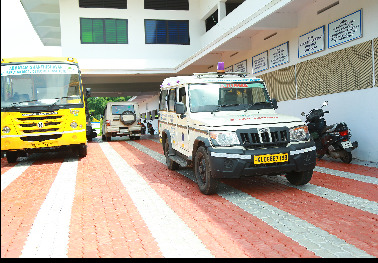 15 vehicles are provided by Shanthibhavan Palliative Hospital with expert palliative team to serve the bedridden patients who live in different parts of Thrissur District. We provide high-end palliative care and mental support through home care. Our palliative care is professionally coordinated services that focus on physical, mental, social, and spiritual needs of those with fatal illness and their families. 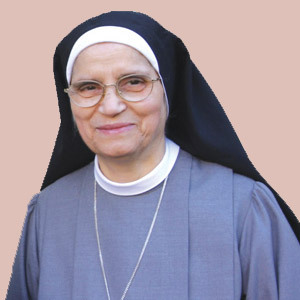 It seeks to maintain the highest level of comfort.Here we satisfy their entire physical, emotional, psychosocial, and spiritual needs. 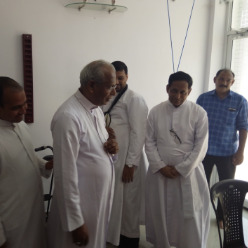 A fully equipped physiotherapy unit is active in Hospital, and it not only help the palliative patients but also give support to the youth who are recovering from accidents and strokes. This department is aiming to provide a better quality of life. Physiotherapists tend to spend a considerable amount of time with their patients on a regular basis and assure morning and evening care. 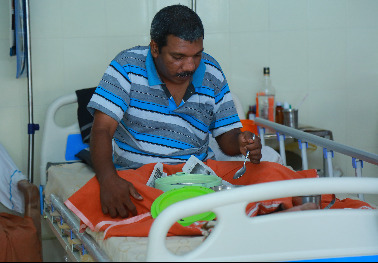 Free ambulance service, Mobile Freezers are capable to meet other emergency needs of palliative bedridden patients. 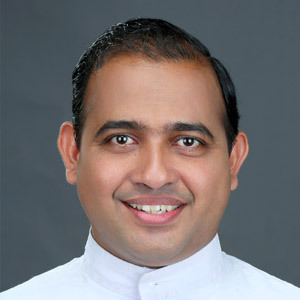 Palliative hospital care is provided by a specially – trained team of doctors, nurses, volunteers including priests and nuns who work together to provide an extra layer of support for palliative in-patients. It is appropriate at any age and stage of a serious illness and it can be provided along with curative treatment. This is a unique hospital in India in nature by its service, like high-end palliative care and mental support. High-end palliative care supportive system likes centralized Oxygen system; Hi – tech laboratory; Scanning, Dialysis and ICU with ventilator facility is available in the hospital. This is an exclusive hospital for palliative bedridden patients with 49 beds. 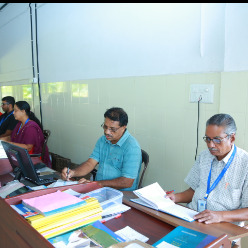 And in reality, the palliative patients, who avail care, feel that Shanthibhavan is not only a Palliative hospital but also an abode where they get the warmth of their home. A nursing facility that provides emergency care, assistance with personal care and skilled medical care are available at homes. 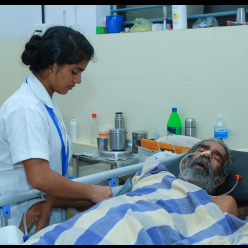 The 24 x 7 emergency home care services are available for bedridden patients. It is free for registered patients. Medical, nursing, and rehabilitation care, often a transition from hospital to home. 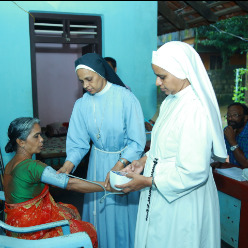 This emergency home care is available for all bedridden patients in the Thrissur district who register their names in the Hospital records. 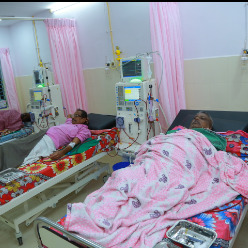 We are providing free dialysis for poor kidney patients. 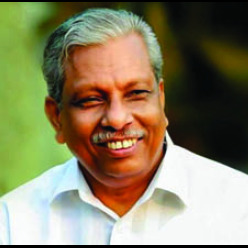 It is a cent percent free dialysis service for poor kidney patients. The service of Nephrologists, trained nurses, technicians, medicines and transportation are totally free for kidney patients. 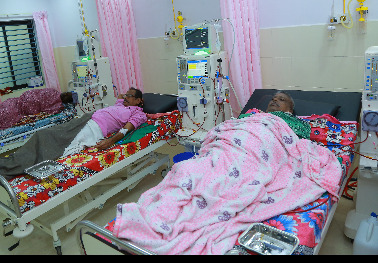 Since the registration for the free dialysis has been reached in a large number, we are trying to provide more support to poor kidney patients. We have the facility to support 40 kidney patients and looking for getting support from the public for the smooth running of this project. The dialysis machines are working by the support of solar energy. Here we have some developmental projects to upgrade our solar system with which we can connect more dialysis machines to this solar energy system. General pharmacy is attached to hospital for free medicine distribution. 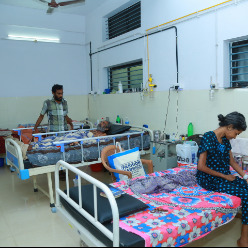 This facility is available for the bedridden patients admitted in the hospital. 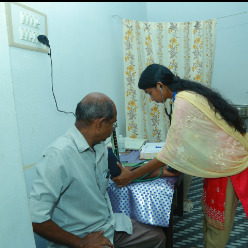 Our registered palliative bedridden patients who are availing home care from Shanthibhavan palliative Hospital are eligible for free medicine. 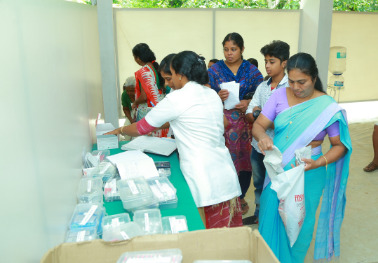 The regional centers are also having the pharmacy, where medicines are distributed on subsidiary rates. Patients coming for consultation would get prescribed medicines on subsidy rates. The service of the pharmacy is limited to outpatients for the first phase. And we are planning to distribute all medicine required for palliative fellowship members on non profit basis. 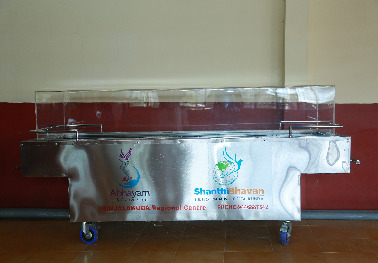 Free food for palliative patients and their bystanders is another humane project of Shanthibhavan Palliative hospital. 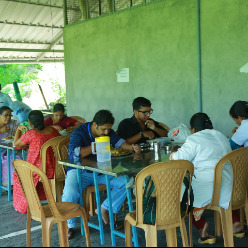 A modern kitchen has been working at the hospital premises for cooking healthy food and it is distributed for patients, bystanders four times daily. This service is totally free of cost and it is running by the support of kind hearted people, who donate money, rice, vegetables etc. 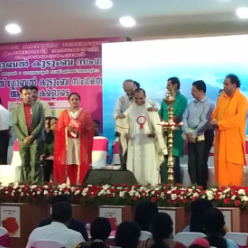 Abayam - Shanthibhavan early medical detection institute helps to prevent cancer, kidney diseases through early detection test. 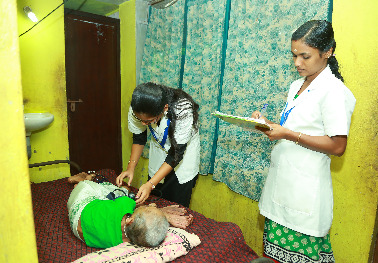 Early Medical Detection Camps are conducted for the public on the basis of Panchayath / Muncipality / Corporation limits. 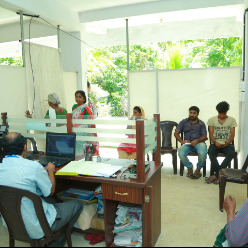 Blood and Urine tests are done freely for camp members through these detection camps. Deadly Diseases including Cancer are taken care in the initial stage itself by our Professional medical team. Diseases which affect ladies, such as Breast Cancer, Uterus Cancer, and Thyroid Cancer are diagnosed and treated with Ultra-Modern Medical Equipments. A total of 48 parameters in Blood/Urine are included in the test. After getting these test reports, expert doctors examine the results and give necessary advice to prevent various diseases and to take the possible changes in their life styles. 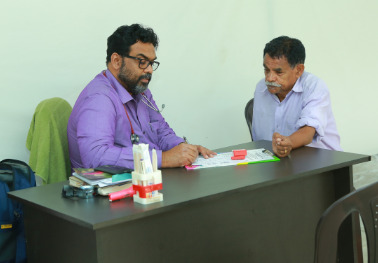 Local Autonomy Institutions and Voluntary Organizations can avail the facility of Early Medical Detection Camps under their respective locality by joining hands with Shanthibhavan Palliative Hospital. 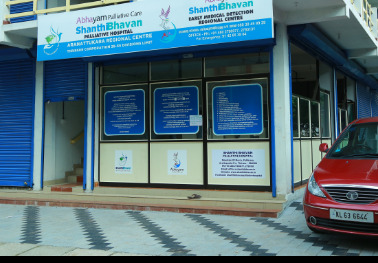 The Radiology department has been opened in Shanthibhavan palliative hospital to extend its support for palliative bedridden liver patients. 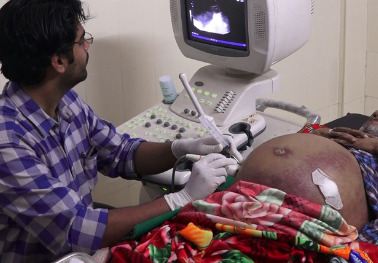 After deploying the Ultrasound Scan machine, the Radiology department is well equipped and it is managed by a senior Radiologist. This facility is very supportive for both liver cancer, liver cirrhosis patients and also for early detection purpose. We are also planning to start Ultra Sound Scan Mobile unit to extend the medical support to their doorsteps. 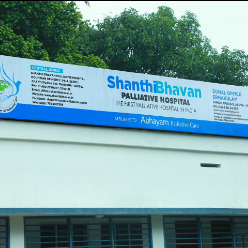 Shanthibhavan Palliative hospital is always bothered about the poor cancer - kidney patients. 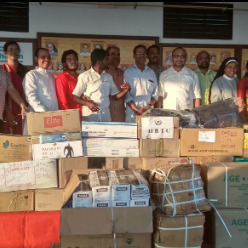 A new scheme has been organized by the hospital for these patients to support them by assuring the medicine cheaper compared to any medical store. Cancer – Kidney patients may get a relief from the price hike and the hospital has been taken the steps to distribute the monthly medicine at their doorsteps. So the patients are requested to contact the hospital or regional centers for their routine medicines. 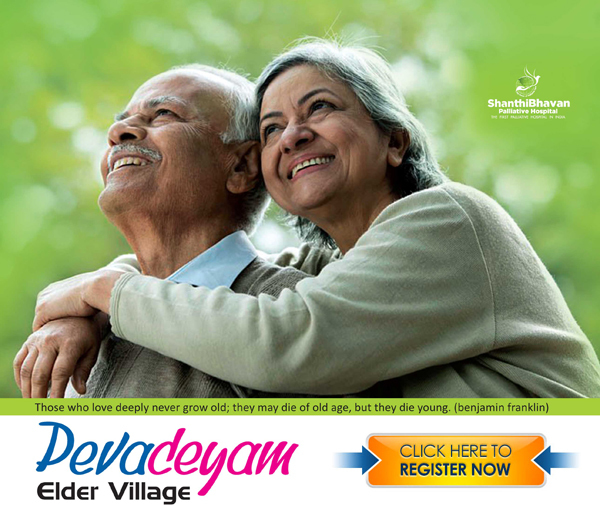 The fellowship members of Shanthibhavan Palliative Hospital are also eligible for this scheme. They can contact the hospital / regional centers for their monthly medicines which may be available on their doorsteps. All of the fellowship members can choose this facility which assures the routine medicine on their doorsteps. We’ve funded 24,537 palliative projects for 7 million people around the world. Usually it is the smallest donations that combine to form big numbers and do the magic. But, when you decide to sponsor an entire project, it enables us to offer our services quick and smooth to the needy. Let's together create a painless future. Palliative care is about making the ailing as comfortable and peaceful as possible. It is also a collaborative process. Our volunteers and experts work hand-in-hand to offer what is best. 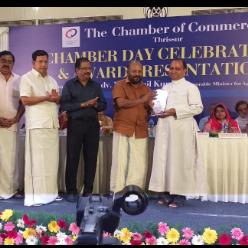 Glimpses of our most proud and memorable moments in this journey. I am using this opportunity to congratulate Shanthibhavan Palliative Hospital, where bedridden patients getting care and mental support. And I have immense pleasure for getting an opportunity to inaugurate this hospital. I would like to point out that our social situation reached in a stage that nobody getting time to care their own parents. I personally experienced that when my mother was fell ill, she likes to be cared by me and my wife. I noticed a divine light on her eyes when we taking the initiative to care and support her. I know the limitation of a nuclear family when both father and mother are going for their jobs. 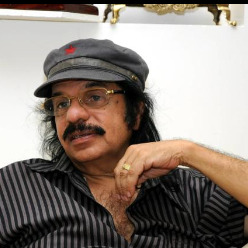 Despite of all these hurdles we are supposed to be take care of our parents and other blood relatives. 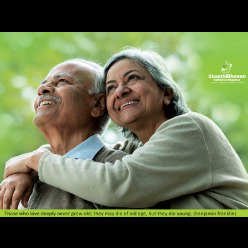 By considering the limitation to find out the time for caring old aged parents, Shanthibhavan palliative Hospital proudly bridging the gap and they are doing the care and support very well. I wish this service may reach up into many people who really need care and support in various family backgrounds. 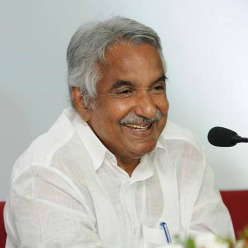 I assure you all support and cooperation from me and this government. 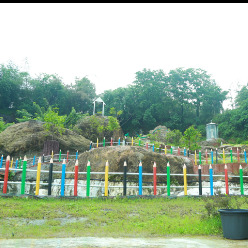 What is the meaning of culture; I must say it is the concern for others. Obviously it’s not just an art and music. 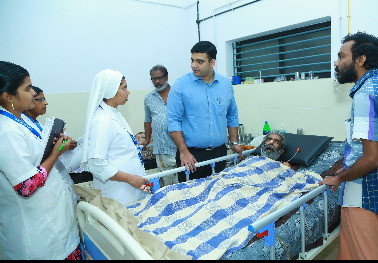 I happen to visit Shanthibhavan Palliative Hospital and closely visit their service and care for the poor bedridden patients. I must say this is the best example of Good Samaritan. Care, Medicine, Food and all are free in this hospital. 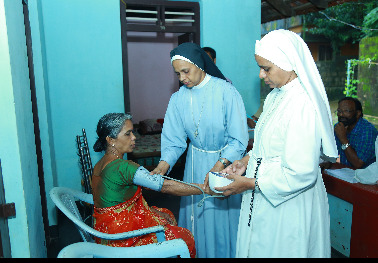 I understand that this is the first palliative hospital in India and working without bills and cash counters. 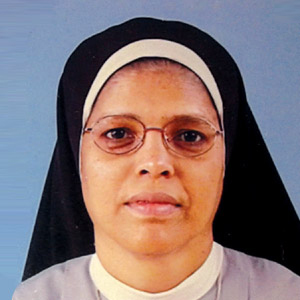 It is great pleasure for me that a group of nuns, priests have been working here to give care, mental - social support for the poor bedridden patients. I have a request to all of the people surrounding here that everybody should work for this hospital and capture peace and happiness through your committed service. It is important to think about others, when we think about others; we will become real human beings. Shanthibhavan palliative Hospital proves how to spread the message of humanity, kindness and a big message to the nation and to the public. We can do something to someone, who really needs it. There is no barrier of money, health or anything like that. 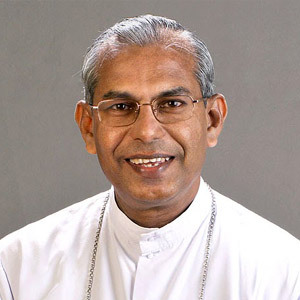 Everybody can help others and can extend their support to the needy in different ways. This is the best message which I got from my public life. I can assure you that money is not an important thing to support others. If there is a will to support, definitely we can do that. A lot of opportunity is there for us, it is important that if we are ready to take the challenge. 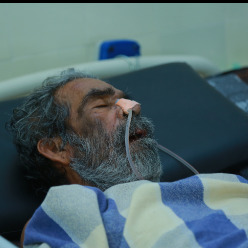 Many people are suffering from dead diseases, cancer, kidney failure and you may know most of them are poor; they haven’t any money for their treatment. 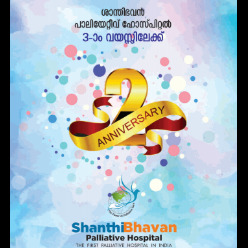 Shanthibhavan palliative Hospital is doing a great job by caring and supporting of them. I am sure that this Hospital could change to an ideal place where all poor bedridden patients may get care, medicine, food etc.